Hello everybody and welcome back to the Everything Ham Radio Podcast! In this episode we are going to be talking about Skywarn, we talk about the Sioux Empire Amateur Radio Club in our amateur radio club spotlight, we talk about some upcoming events/contests and Hamfests for the next two weeks and wrap it up with some news from around the hobby! Skywarn is a little different from ARES and RACES in that it is not as much of a club type organization like ARES and RACES is. With Skywarn you donâ€™t even have to be an amateur radio operator to be a skywarn spotter. Skywarn was started by the National Weather Service in the late 1960â€™s, but it didnâ€™t really take off until the mid 1970â€™s. Since then it has grown to between 350,000 and 400,000 trained spotters and it continues to grow every year. Skywarn spotters are the general publicâ€™s first line of defense when it comes to the wrath of mother nature. On an average year, there are over 10,000 severe thunderstorms, 5,000 floods and more than 1,000 tornadoes across the US. Anyone with access to some form of communications can be a skywarn spotter. Skywarn spotters can be police officers, firefighters, EMS personnel, dispatchers, and public utility workers. Even people affiliated with hospitals, schools, churches and nursing homes or even someone in the general public. So what do you have to do to become a skywarn spotter? Basically all you have to do is take a skywarn class given by the National Weather Service. Classes are given on an annual basis. To locate a class near you, click here. Training is free and typically lasts about two hours. So are skywarn personnel storm chasers like I saw on the movie Twister ? No, skywarn personnel are not storm chasers. Storm chasers normally fall into three categories. The first category are meteorologist that are doing research. Second are those people that are trying to get pictures to sell to the news media. The third is thrill seekers. Skywarn personnel generally stay close to home or at the very least in their own county. 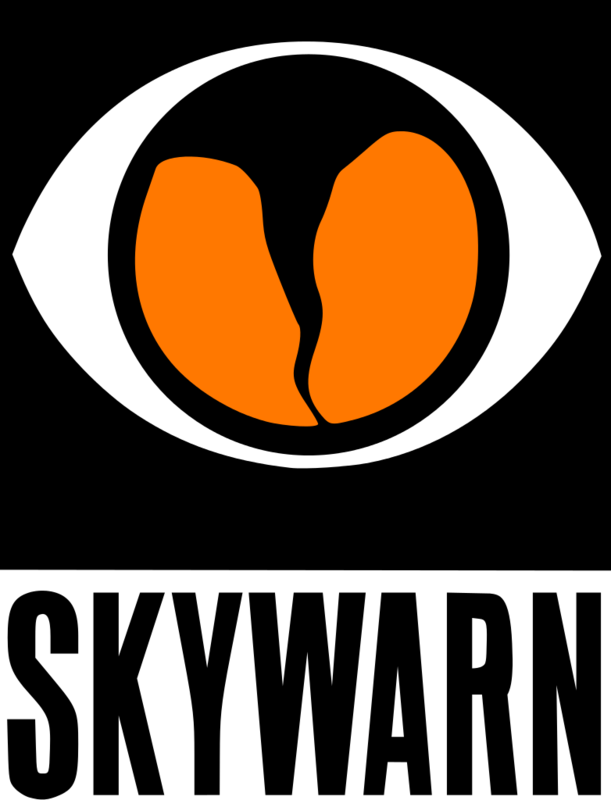 SKYWARNTM Recognition Day was developed in 1999 by the National Weather Service and the American Radio Relay League. It celebrates the contributions that SKYWARN volunteers make to the NWS mission, the protection of life and property. Amateur radio operators comprise a large percentage of the SKYWARN volunteers across the country. The Amateur radio operators also provide vital communication between the NWS and emergency management if normal communications become inoperative. During the SKYWARN Special Event operators will visit NWS offices and contact other radio operators across the world. Members of ARRL Headquarters staff will be on the air as W1T, November 28-December 4, in honor of Mark Twainâ€™s 181st birthday. On November 30, Twainâ€™s actual birthday, the Mark Twain House and Museum in Hartford, Connecticut has granted permission for a special event station to be set up in the front yard of the house from 9 AM until 4 PM EST (1400-2100 UTC). Born in Missouri in 1835, Twain lived in Hartford from 1874 to 1891 and wrote many of his greatest works during that time, including The Adventures of Tom Sawyer, Adventures of Huckleberry Finn, and A Connecticut Yankee in King Arthurâ€™s Court. New ISS crew members Peggy Whitson, KC5ZTD, Thomas Pesquet, KG5FYG, and Cosmonaut Oleg Novitskiy are settling in on board the International Space Station this week. The trio headed into space on November 17 for a 6-month stay. Welcoming the Expedition 50/51 crew members were Expedition 50 Commander pShane Kimbrough, KE5HOD, and crew members Sergey Ryzhikov and Andrey Borisenko, who have been aboard the complex since October. Whitson, who will turn 57 during this ISS duty tour, is marking her third trip to space. She will become the first woman to command the space station twice. Her first tenure as commander was in 2007, when she became the first woman to hold this post. The crew is scheduled to return to Earth next spring. Whitson not only is the oldest woman in space at age 56, but she is projected during this mission to once again become the US astronaut logging the most time spent in orbit. All told, sheâ€™s already spent more than a year of her life in space. By the time she returns to Earth next spring, sheâ€™ll have 534 days of off-planet time under her belt. 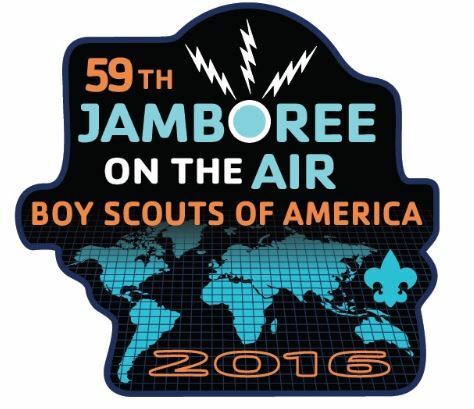 According to the report, 10,761 Scouts took part, an increase of more than 50% from a year earlier, and the number of stations filing reports, at 267, jumped by 28% from 2015 (the record was 271 in 2013). The number of Amateur Radio operators was up by 14% to 1,120, although the number of radios reported in use dropped by 25% to 631. The November 19 Summits on the Air (SOTA) â€œSummit-to-Summitâ€ event between Europe and North America is being called â€œa great success.â€ SOTA is an awards program that encourages portable operation in mountainous areas. Despite cold, rainy weather in parts of Europe and just-average band conditions, all activators reported successful and enjoyable experiences. In addition to Europe-to-North America contacts, some stations logged contacts with other parts of the world; one activator was on holiday in the Canary Islands. Three bands were used for intercontinental contacts â€” 20, 17, and 15 meters â€” with most contacts made on 20.
â€œThe consensus seems to be that, from a propagation point of view, 17 meters was the best,â€ said Ed Durrant, DD5LP. â€œWe even have some reports of chasers from [Australia] catching some of the EU activators via short path.â€ Sixty-six summits had been announced, but 77 were activated.